The fact that Georgette Heyer wrote The Black Moth at 17 is pretty astonishing. It's such a delightful book which, while perhaps not as polished as her later works, firmly establishes the charm and humour she would display throughout her career. Heyer apparently first invented the story to tell to her sick younger brother, and it contains all the classic elements you'd expect from such an origin - an engaging hero who flirts with danger but actually has a heart of gold, a beautiful heroine who captures said heart, a ~dastardly~ villain you love to hate, lots of action, scandal and intrigue, plus a bit of bromance on top of all that. 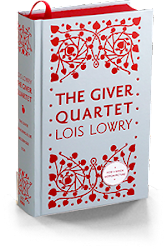 I really enjoyed the characters, especially Jack and his best friend Miles, and I even empathised with the tiresome Lady Lavinia. One of my favourite things about Heyer's writing is not the lavish period descriptions or even the melodrama (though they're great too), but the connections between the characters. Whether it's sibling bonds (or lack thereof), enemies, friends, married couples or people just falling in love, the relationships always feel so very real and universal, enhanced by the witty and engaging dialogue. I listened to the audiobook narrated by Julian Rhind-Tutt and he does an excellent job. The voices he gives to each character are strong - the male characters in particular - and his pacing and delivery are good. 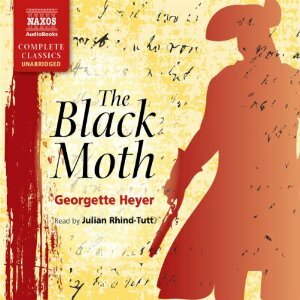 The story was a little uneven and frankly quite baffling in places (the reason Jack had to leave the country seemed weak, for instance, though maybe I'm imposing too modern a judgement), but overall The Black Moth was a fun read and a great way to start my quest to consume all of Heyer's romances. Thank you for the information, I was your loyal visitors , and therefore I ask my permission to attach information about the health below , may be useful for all ..
thanks for sharing insights, I like being able to add new knowledge at the same time new insights, thanks for giving new insight, may be useful to others his..
Amazing post. I really appreciate your efforts. I haven’t use such software yet but will look into it soon. Do not give up! When you fall, you have to get up again. Apakah Hernia Bisa Menyebabkan Kemandulan ? Nice , good luck sir .. i like your post , i hope your website can update every week or every day .. i wait sir ..
A site that always presents the latest information. Your Website Is Nice And Informative. Please Keep Continue Such Kind Of Good Effort. If you are not able to transfer Digital currency in Binance account, you can call on Binance customer support number to find the easiest methods to overcome such complexities. Health is a very valuable asset. I think I have about 10 Georgette Heyer books in my to-read stacks but I haven't gotten around to reading any of them yet. It's very impressive that she was able to write this book at just 17-years-old. It makes me cringe to think of the stuff I was writing at that age! Your article is good, hopefully it can work well together. If the Follow button isn't working, please click here to use GFC.